The European Court of Human Rights yesterday handed down a Chamber judgment in declaring that the arrangements for the indefinite retention of data relating to a person’s caution in a criminal matter and for the disclosure of such data in criminal record checks infringe Article 8 of the ECHR. Although the Court recognised that there might be a need for a comprehensive record of data relating to criminal matters, the indiscriminate and open-ended collection of criminal record data was unlikely to comply with Article 8 in the absence of clear and detailed statutory regulations clarifying the safeguards applicable and governing the use and disposal of such data, particularly bearing in mind the amount and sensitivity of the data. The case arose from a family dispute in Northern Ireland in the course of which the applicant, a grandmother, took her grandson away from his parents for two days before returning him unharmed. This resulted in her receiving a caution for child abduction in November 2000. In 2003 the police advised her that her caution would remain on record for only five years, i.e. until 2005. However, following the Soham murders and the Bichard report, there was a change of policy whereby any convictions and cautions where the victim was a child would be kept on record for the offender’s lifetime. 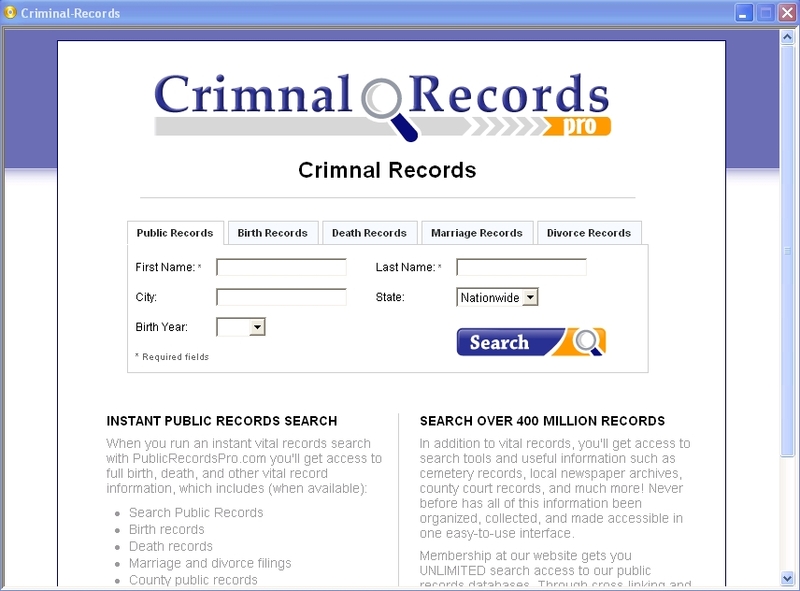 Until 1 April 2008, requests for disclosure of criminal record data in Northern Ireland were made on a consensual basis. Disclosure took place in accordance with well-established common law powers of the police. Provisions of the Police Act 1997, introduced in England and Wales in 2006, were applied to Northern Ireland in 2008. Section 113A required a criminal record certificate to be issued on request and payment of a fee, to include details of all cautions and convictions whether spent or not, if the request was for stated purposes including that of assessing the suitability of persons to work with children and vulnerable adults. Disclosure of the applicant’s caution caused her to be turned down for jobs as a family support worker in the social care field. She complained that the indefinite retention and disclosure of the caution data infringed her ECHR rights. The Court noted that both the storing of information relating to an individual’s private life and the release of such information come within the scope of Article 8(1). The question was whether the police records contained data relating to the applicant’s “private life” and, if so, whether there had been an interference with her right to respect for private life. The data was both “personal data” and “sensitive personal data” within the meaning of the Data Protection Act 1998 and “personal data” in a special category under the Council of Europe’s Data Protection Convention. Although a person’s criminal record was public information, systematic storing of data in central records made them available for disclosure long after the event. As a conviction or caution receded into the past, it became a part of the person’s private life which had to be respected. The applicant’s voluntary disclosure of the caution to her prospective employer did not deprive her of the protection afforded by the Convention where employers were legally entitled to insist on disclosure. Thus Article 8 applied, and the retention and disclosure of the caution amounted to an interference. To decide whether the interference could be justified under Article 8 § 2, the Court considered the legislation and policy applicable at the relevant time and since. It highlighted the absence of a clear legislative framework for the collection and storage of data and the lack of clarity as to the scope, extent and restrictions of what in Northern Ireland were originally common law powers of the police to retain and disclose caution data. There was also no mechanism for independent review of a decision to retain or disclose data. The provisions of the Police Act 1997 which came into force in Northern Ireland on 1 April 2008 created some limited filtering arrangements in respect of disclosures. However, in providing for mandatory disclosure under section 113A, no distinction was made on the basis of the nature of the offence, the disposal in the case, the time which had elapsed since the offence or the relevance of the data to the employment sought. The Court decided that the cumulative effect of these matters was an insufficiency of safeguards in the system to ensure that data relating to the applicant’s private life had not been, and would not be, disclosed in violation of her right to respect for her private life, and therefore the retention and disclosure of data was not “in accordance with the law” for the purpose of Article 8 § 2. The Court therefore did not go on to determine whether the interference was “necessary in a democratic society” for one of the stated aims, or whether there had been any infringement of Articles 6 and 7. This post by 11KBW’s Charles Bourne originally appeared on the Panopticon Blog and is reproduced here with permission and thanks. There is a total brech of personal liberty in keeking any details of an arrest if no charges are brought and should be scraped as soon as possible. tem needs to be changed so that spent offences originally processed either by police caution or by prosecution that do not indicate ongoing risk to children or vulnerable adults should be filtered and not disclosed in enhanced CRB checks. Recently, as a result of the Freedoms Bill, Theresa May enabled pre-1967 repealed gay offences to be ‘disregarded’. While the same should happen to post-1967 gay offences and to other spent and minor offences, a useful device has been established by the ‘disregarding’ of a criminal offence in itself. It is absolutely unreasonable that the lives of people are hampered by crimes they committed even decades ago and which, by virtue of the disclosure system in the UK of recent years, are destined to haunt them until they are 100 years old. This draconian practice far outweighs the punishment due to the crime committed and puts unreasonable burdens on people that, in real terms, prohibit their being able to find work or even to contribute to the voluntary sector. This wise judgement of Strasbourg indicates that, as a priority, the criminal disclosure system in the UK must be overhauled and radically. What a – unusually – good judgment. Has anyone asked why the letter ‘i’ is missing from the word ‘Criminal’ (i.e. ‘Crimnal’) in the original document ? Time for a reprint and it just goes to show how sometimes there can be a real absence of forethought in implementation. Northern Ireland is the most heavily surveilled place in Europe. Odd that my community looks to the RAAD for protection instead of the PSNI/RUC. Thank you for this piece of information. How can a person while he was a young boy “stole a shirt worth £40” from a shop and was cautioned for theft. Can you believe that 8yrs down the line, he could not secure any work as a consequence of the so called “disclosure”! The law in respect of this needs to be changed. While admitting the fact that what the boy has done is not good, the degree of punishment towards that is not commensurate with the offence. There is an urgent need for a review of our Criminal Justice System. The ECtHR has spoken! Hoping that the concerned public authority will “take this into account”.